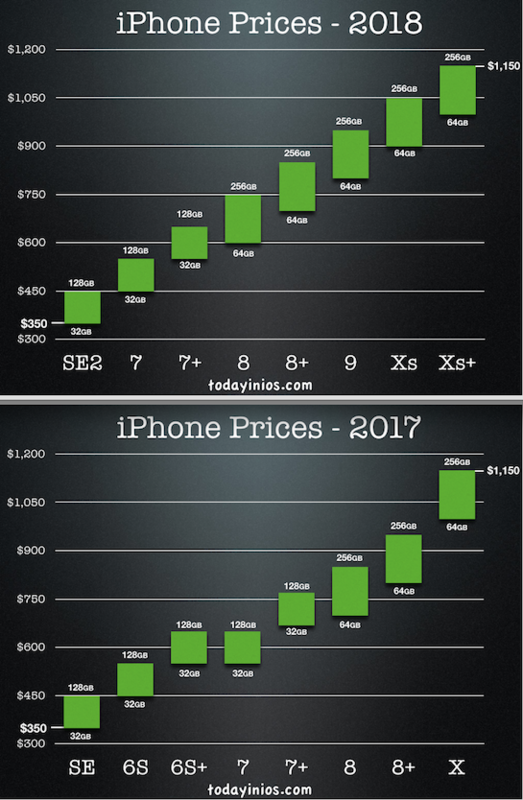 Above is the what looks like will be the pricing matrix for 2018 iPhones vs 2017 iPhone lineup. The SE2, 7 and 7+ would come in 32 GB and 128 GB versions. The rest would be in 64 and 256 GB versions with a $100 adder for the 128 GB version and a $150 adder for the 256 GB versions. When you look at the new price matrix for 2018 - it make a lot more sense in fills in a gap that is in the current matrix between the 8+ and X pricing. Also from an inside source / person in the know - code named AC - The "Fall" event will be Wed Sep 12th, Preorders starting 12:01 AM Sep 14th and Launch / delivery of new iPhones starting on Sep 21st. I talk more about the new iPhones in Ep 467 of Today in iOS.